It had been a while since I made moon sand for the girls, so today when they needed a fun activity I quickly whipped some up. With Summer finally upon us I decided to give this batch a Summery theme. 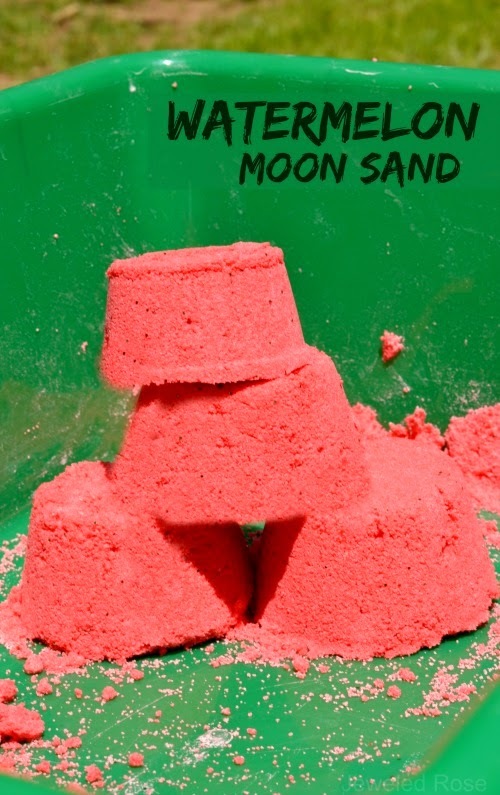 If you are unfamiliar with moon sand it is truly amazing stuff. 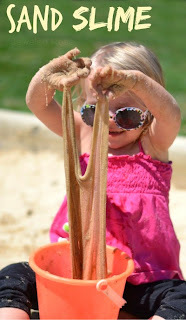 It is mold-able but crumbly and produces the best sandcastles. It is really easy to make at home, too. Rosie and Jewel loved the watermelon scent of the sand. Watermelon is one of their very favorite things, and it's aroma truly captured the essence of Summer. They loved the squishy feel of the sand between their fingers, and building watermelon towers and castles delighted them for much of the morning. 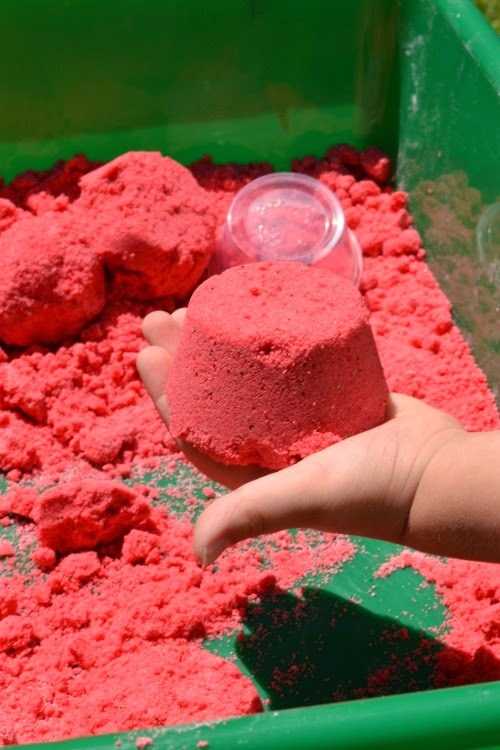 A Few Tips: After play you can store your moon sand in a covered bin for future use. The next time you want to use it just add a touch of water and remix the sand. 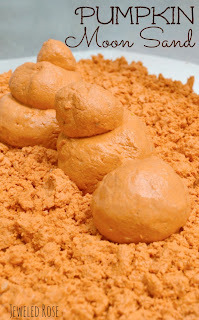 You can use regular play sand or red play sand when making this. 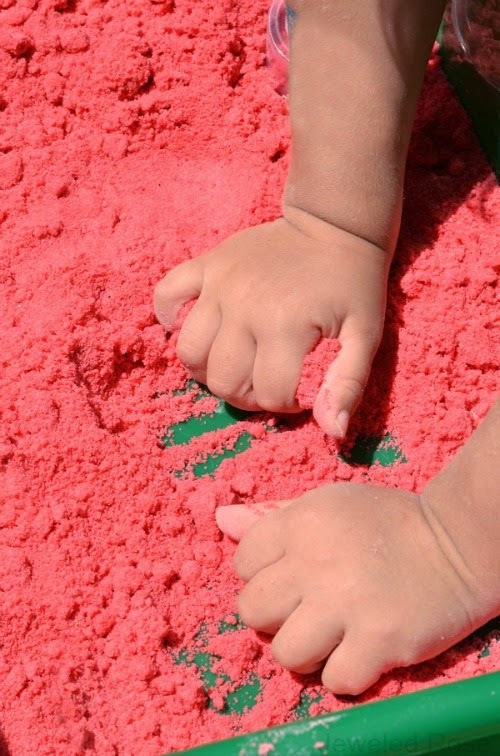 If using regular play sand you may want to add additional color to your recipe using food coloring or powdered paint. I used red play sand purchased for $2 at Michaels. 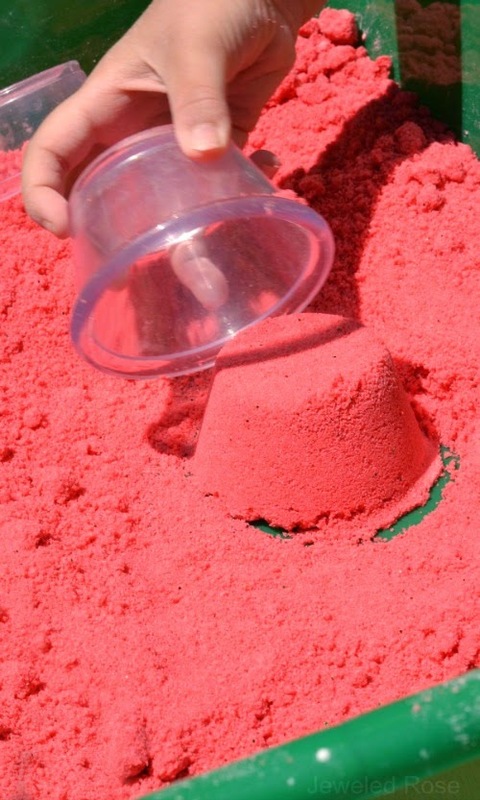 You can also find red play sand online here. 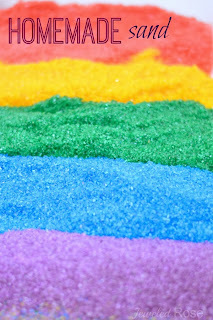 You can find regular play sand at Home Depot for very inexpensive ($5 for 25 pounds ) or online here.